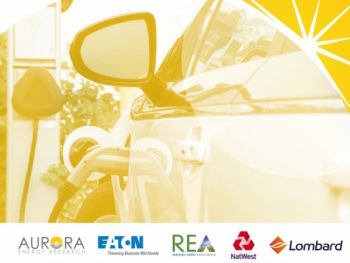 The role of commercial and industrial charging sites with ‘smart’ infrastructure will be essential when it comes to supporting large-scale EV roll-out by 2040. That’s the finding of a new cross industry study developed by Aurora Energy Research and supported by Eaton, the Renewable Energy Association, NatWest and Lombard. The report builds on government ambitions, reiterated in the clean air strategy last summer, for the sale of ‘conventional’ petrol and diesel vehicles to be banned from 2040 and finds that full electrification of the GB car fleet could lead to demand for up to three million charging outlets on commercial and industrial sites by 2040, opening up a £6bn investment opportunity. The study looks at four main applications of charging at these sites: fleet vans, workplace charging, public car parks and motorway service stations, and what it will take for a profitable business case, including the additional benefits of installing Vehicle-to-Grid charging, co-located solar installations and energy storage technologies.